On Sunday, April 13th the first games of the San Pedro Sports Committee (SPSC) Football Tournament semi-finals were played. The four remaining teams were pitted against each other to see who truly has what it takes to be in the finals. Both matches were thrilling, and each team gave its best, delivering two big wins. The first match between Southwind and Dorados started shortly after 3PM. These two power teams were both eager for a win, as such both delivered an early goal each. But as the game advanced, Southwind took control of the game, both offensively and defensively, scoring two goals and defeating the Dorados in a 3-1 point game. 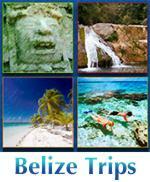 The Belize Tourism Industry Association officially launches the 18th publication of Destination Belize Magazine. Destination Belize is the official visitor’s magazine and #1 marketing collateral piece for Belize. 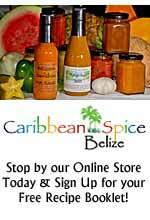 The magazine is dedicated to showcase Belize and all it has to offer to our visitors near and far. This week the Government of Belize Press Office announced that the Ministry of Health received 26 health support vehicles that were donated by the Government and people of the United Arab Emirates, Dubai. If Hon. Heredia is true to his word, three of those vehicles are to arrive to the island of Ambergris Caye real soon. The Ministry of Health hosted an official presentation of the vehicles that was held at the compound of the National Engineering and Maintenance Center Compound in Belize City. Fortunately for us, one of San Pedro’s most fearless “Men of the Sea” is still alive so we can pay him our respect and honor. Please take note that like him, there are many fearless Men of the Sea but we got to write a story of one of them first. We are talking about Mr. Francisco Arceo better known as Don Fashico or Don Fash, dad of Patty, Susana, Shelly, Vicky, Mercie, Neria, Martha, Omar and Elito Arceo. Don Fash has been a fisherman all his life and his life has been molded by the sea, tranquil yet tumultuous, kind yet mean. Don Fash first started challenging the sea as a seine net fisherman. 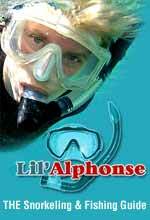 He knew every corner and every inch of the lagoon, creeks and channels where he earned his living with sale of mullet, bonefish, barracuda, permit, jacks, shads and even snapper. What produce Don Fash could sell on the island he did, and any surplus was taken to the mainland for extra sales. Amongst all the chaos of parties for Easter here on the island there is also the religious celebrations that take place. The San Pedro Roman Catholic Church is responsible for conducting a Lenten Schedule every year. Palm Sunday was observed on Sunday, April 13, 2014, where the Blessing of the Palms took place. Church goers gathered at 7:00 a.m. at the corner of Barrier Reef Drive and Tarpon Street for the blessing of the palms by the RC School. A short reenactment of Jesus’ entrance to Jerusalem was done by the priest of the San Pedro RC Church and his disciples all the way to the RC Church. Mass was then carried out at 8:00 a.m.
Just a reminder to all the Liquor License Holders (bars, clubs, restaurants, supermarkets/grocery stores,etc.) No liquor shall be sold on Good Friday. All grocery stores/supermarkets that have Liquor on display must cover the liquor products OR take them off the shelves. Help us share this message. Have a happy and safe Easter! The San Pedro Town Council and Liquor Licensing Board kindly asks all those interested in applying for a Liquor Extension to kindly do so by tomorrow morning before 11:00 a.m. Any applications for Liquor Extension after 11:00 a.m. won't be accepted. We appreciate your cooperation and understanding. The Combat Team awarded orange belts to many of their students. They departed Belize yesterday, but after visiting many schools around Cayo(BCS), and having an exhibition at the GPC, they left an inspiration of God and an understanding of karate in their wake. Godspeed, and thank you, Combat Team! "All the kids tested for their belts last night and our instructor. The kids were so excited to received their Orange Advanced belts! Great things are happening at our Belize Karate School!" BELTRAIDE has collaborated with the Centre for the Promotion of Micro and Small Enterprises (CENPROYMPE) and the Embassy of Taiwan (China) in executing a project in Belize namely, “Integral Development of Entrepreneurship for Central America and Dominican Republic”. The purpose of the project is to promote and strengthen entrepreneurship in Belize by generating, accelerating and strengthening emerging businesses in the segment of micro, small and medium enterprises. In 2013, seventeen entrepreneurs benefited from the program and have accessed seed capital for the growth of their businesses in terms of purchasing raw material, machinery and promotional material. The program is geared towards empowering entrepreneurs and boosting their operation for development and success. A U.S. Army medic in Belize is taking the opportunity operating under New Horizons Belize 2014 to acquire and apply useful knowledge to better herself and her career. U.S. Army Staff Sgt. Summer Ramjak, a native of San Bernardino, Calif., deployed from the 349th Combat Support Hospital in Los Angeles, is primarily acting as the first stop for Belizean patients in the Corozal, Belize, area and is also tasked with the additional duty of assisting civil affairs. New Horizons is a multi-faceted, international exercise geared toward providing mutual training opportunities between host nation and U.S. service members while assisting the host nation population in various capacities. Specifically, New Horizons encompasses Belizean, Canadian and U.S. medical professionals operating in numerous medical readiness training exercises throughout the country. The exercise also involves Belize Defence Force and U.S. military civil engineers constructing five school facilities and one medical care facility. In a span of one week, opportunistic thieves raided and ransacked two houses that are located on a 45 acre farm belonging to the Johnston’s family. The farm is located in the outskirts of Carmelita Village and several times has fallen victim to the hands of thieves while the family was away. Apparently the same scenario was to play out on Friday night only that this time, 50 year old Edison Johnston, the owner of the farm was at home. It was while making routine checks on the farm that Johnston encountered two men burglarizing his property. Officer commanding the Orange walk police, Dennis Arnold says when police arrived at the farm, they met with Johnson who handed over (1) 12 gauge shotgun, (2) 12 gauge cartridges and his gun license. This week, the 8th Annual Rose Classic opened at Birds’ Isle. Every Easter, Belizean-American Cleon Hyde returns home to run a two-week basketball camp for youth between the ages of 8 and 18, promoting youth development and a sense of unity in an often divided city. A draft of participants was held and teams selected in three categories: 8-12 years, 13-15 years and 15-18 years. Team uniforms were sponsored by American apparel giant Nike. Hyde runs a much larger similar camp back in the U.S. and recruits local volunteer athletes, trainers and referees to assist in the two-week program, also sponsored by the Belize City Council. The impasse between the Pharmacists Association of Belize and the Ministry of Health over the appointment of Danini Contreras is at the point of possible industrial action. Association vice-president, Marisol Melhado says they are proceeding carefully because they are part of an essential service and are working with the Public Service Union (PSU). But they hold on to their demand for Contreras’ exit, insisting that she does not have the qualifications nor experience for her specially-created post. According to Melhado, her Bachelor’s Degree, while enough for the Ministry, is short of the full requirements to practice in Belize – most importantly, her registration as a licensed pharmacist in Belize and experience in the field. Earlier this year we reported that Nelson Young, former employee of Belize Telemedia Limited (BTL), has been waiting for at least a year for the decision of an Essential Services Tribunal convened by the Ministry of Labour in 2012 to look into his case. Nine years ago he was fired at the height of civil unrest in 2005 by the Ashcroft regime in charge at the time, along with two others and later union representative Christine Perriott. When we last checked with authorities we were told that the report is on the desk of Minister of Labour, Senator Godwin Hulse. Today he told us that it’s still there, but because they needed legal advice from the Solicitor General’s Office on certain issues with regard to the report. That advice is coming next week and thereafter the report should be issued to both sides. This morning Belize City Mayor Darrell Bradley and Belize Waste Control were back in court in the latest effort to resolve the contentious sanitation dispute. Last week they were at each other’s throats over the Council’s alleged cavalier attitude about paying the sanitation company on time and there were threats of further litigation. But the two sides have entered into a consent order before Chief Justice Kenneth Benjamin after Belize Waste Control indicated a willingness to settle the dispute. Mayor of Belize City, Darrell Bradley, told reporters that the company agreed that they were now satisfied that arrears owed, now down to two weeks behind schedule from a high of 15 in December, are clear. The company will also receive $10,000 which had been deducted by the Council when the company had gone on strike because they were not being paid. Around 4 o’clock this evening in the Port Loyola area, popular cyclist and messenger for Santiago Castillo Limited Ernest “Dangalang” Thurton, 41, was shot and killed near his aunt’s home on Cumberbatch Street which he was taking care of. He had stopped in on an errand for his boss Hon. Santiago Castillo Jr when he was menaced and shot once, mortally wounded. Thurton leaves behind five children. He was a long-time cyclist and was certainly not known to have any part in the ongoing warfare on the streets of Belize City which has now claimed seven lives in four days. This evening Castillo issued a call for the issue of crime to be addressed by all. Belize City Mayor Darrell Bradley says the Belize City Council is working on settlement with Belize Waste Control. This follows the decision by the sanitation company to end litigation before Chief Justice Kenneth Benjamin this morning. 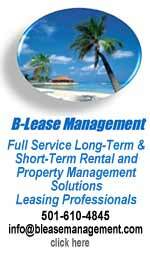 The Belize City Council, according to the Mayor, has paid down its debt to the BWSL to two weeks owed. By Wellington C. Ramos On the 11th, 12th and 13th of April 2014, Garifuna people from the countries of “Yurumein”, now known as St Vincent and the Grenadines, Honduras, Nicaragua, Guatemala, Belize and the United States, came in large numbers for the first Garifuna Nation Summit. The purposes of this summit was to receive a mandate from the Garifuna people to form a Garifuna Nation, to receive updates on the state of affairs in the communities where the Garifuna people live worldwide, to establish a framework for the Garinagu people to work in concert with each other on a daily basis and to have the structures and institutions in place to help solve their problems. Prior to this summit, invitations were sent to all the government representatives in the countries mentioned above and only two countries responded and they were Belize and Yurumein St Vincent and The Grenadines. Representing St Vincent and the Grenadines were two Garifuna representatives: Honourable Senator Jomo Thomas, a Garifuna as well, and Honourary Consul Cardin Gil, representative for St Vincent and the Grenadines for the City of Los Angeles, CA. Western Ballaz vs Heat pictures from Adma's Photography. They won 80 - 65. They have this week off, and then they host the San Pedro Tigersharks. She also got some great pictures of the opening introductions, where the Ballaz brought some heat of their own, and some pictures of the team posing with their fans. Mom's Backyard is having a Holy Saturday 9 Ball Tournament. They'll also have a cook out on the 19th, and a dance at night. They'll have specials, lots of great food, and their stuffed jalapenos too. Happy Holy Tuesday! Last night was the Procession for Our Lady of Sorrows in Benque(pictures). Tonight is El Encuentro. "Holy Monday in Benque Viejo Del Carmen is observed with a Procesion that is carried on with the statue of our Lady of Sorrows and is called the Procesion of solemn silence or procesion de el silencio. The Patrimony and Stewardship Working Group (PSWG) join with our Belizean compatriots in condolences to the mother, children, family, friends at home, the diaspora, and other regions of the world on the passing of our brother, son of the Belizean soil, Ambassador Adalbert Tucker. The veritable Belizean Renaissance Man par excellence non pareil, our dear friend and mentor, Ambassador Adalbert Tucker, was one of the brightest and most loyal facets of our jewel. Bert had astounding capacity, genuine humility, and from his vessel and learning and understanding, he unselfishly poured out his God-given talent and wisdom: even as this was always replenished. He grew our attention span and analytical capabilities. Sharing from his earliest teachings and discipline, private schooling under Miss Annette Maheia – through to Belize Technical College, University of the West Indies and Harvard the witticisms, anecdotes, philosophies he applied himself Walter Rodney-like to school our people. Last night, we told you about the 5 men who died from gun violence over the Pre-Easter weekend, well tonight, our headline story is once again about another shooting death. This one happened this afternoon in the Junesville area of the city. Ernest Thurton was doing his job when a gunman attacked and shot him in the back. Why would the assailant attack a 41 year-old man? That's what we tried to find out when our News team arrived on the scene a short while after. Monica Bodden reports: 41 year old Ernest "Dangalang" Thurton - a well-known Belizean Cyclist - laid dead faced down in this yard behind his aunt's house in the Junesville area. It happened just after 4 this afternoon - some residents' say they heard the single fatal shot rang out. Turton who has been a messenger for San Cas for over 20 years was on the job and had just left the Income Tax Department. Hon. Santino Castillo - Thurton's Employer "Ernest Thurton better known as "Dangalang" started working with me about 20 years ago at Santino's, was a rider on team Santino's and then transfer to San Cas when I did and really was not a trouble maker at all." Monica Bodden "Now I know that it just happened, but can you confirm to us if he was on the job?" Hon. Santino Castillo - Thurton's Employer "Yes he was, he was taking some cheques - first of all he handled no cash. He is a messenger and he took some cheques to the Income Tax Department and I understand he was caretaking his aunt's house, so he pass here either before or afterwards to in fact look at the house. He apparently was lay waited at that time. Last night, 7News told you about how 27 year-old Mario Choc became the second accident victim this weekend when he was knocked down by Glen Crawford. As we told you, Crawford claimed that he had a moment of temporary blindness which happened when an oncoming vehicle's headlights flashed in his eyes. Choc received head and body injuries and was rushed to the KHMH for treatment where he died 2 hours later while undergoing surgery. Today, we spoke to his common-law wife, who told us that the incident unfolded right in front of her, and their child: Angelina Tot - Common-law-wife "I just off the bus and when I saw him standing on the gate then I saw him coming to meet me on the other side of the street." Monica Bodden "So he was already at home standing outside when I got off." Angelina Tot - Common-law-wife "I saw him coming but he was walking slowly. Two other vehicles pass and nearly hit him, so the third one that was heading to Ladyville, a white vehicle that hit. I didn't know what to do. I just scream and I ran to see him and I talk to him but he didn't say a word." The legal battle between Belize Waste Control and Mayor Darrell Bradley's City Council has come to an end. That's the outcome of a hearing today before Chief Justice Kenneth Benjamin. As we told you, this case against Mayor Bradley has been in court for several months, starting back in February of last year. At one point, Waste Control was pressing for contempt proceedings against Bradley when he owed them more than 3 months in arrears for their sanitation services. Well, he's managed to catch up to the point where he now only owes the company 2 weeks in arrears. The ideal situation would be a zero balance, but Mayor Bradley told us outside of court today that the Council will keep current in their bill with the company for the next few months: Mayor Darrell Bradley "The litigation is finish. The court had on the last occasion granted an adjournment to today's date for the claimants, in this case Waste Control to file what is called a statement of facts and issues for the court to satisfy itself what friable issues there still are. The claimants did not file that document and they had indicted to the court this morning that we were going to press settlement of the matter and we have entered into a consent order which the City Council agree to and which they likewise agree to. And while we had the opportunity, we asked Bradley about what's happening with 6th Street. Viewers may know that at the beginning of this month, the City Council turned that very busy business thoroughfare from a two-way street into a one-way access. The businesses owners were complaining that the decision has cause them to lose some of their customers, and today, we asked Bradley about that. He said that despite the protests, they will keep Sixth Street as a 1-way: Mayor Darrell Bradley "We had put together a series of consultations with various stakeholders that used that are; people who shop on 6th Street; people who visit; people who lived there and also business who operate from 6th Street. The one way has been working, we had monitored that and I indicated that that was for a month's period. Councilor Elrington who had responsibility for traffic likewise indicated that to the media. We have continued it because it seems to be working. The difficulty that we have had is that people are not adhering to the one way. SATIIM and the Leaders of the Mayan buffer communities have filed an application for an injunction against US Capital Energy to stop them from drilling inside the Sarstoon Temash National Park. They claim government gave the oil company an extension on their drilling permit last week, which is supposed to end on April 30. SATIIM's statement from last week says that the Mayan Communities views this "extension" as a direct contravention of the judgment handed down on Thursday, April 3. That statement, said, "We condemn any decision by Cabinet that seeks to circumvent the declarations and order of Justice Arana." It ended ominously by stating, "Should cabinet not rescind its decision we along with our communities will take all necessary action to block US Capital Energy from entering our Maya Customary Land." But while they've taken that stance, 7News has been checking into their facts as they've presented them, and both the Chief Forestry Officer and the attorney for US Capital says that the Mayans are mistaken. There is no extension, and according to the Wilbur Sabido, the Chief Forestry Officer, there hasn't even been a discussion with the company about that extension. And in relation to the counter by Michael Peyrefitte, the attorney for US Capital, who said that SATIIM misrepresented the facts of that meeting where the oil company's representatives gave their interpretation of Arana Judgment, the organization says that it did no such thing. Former long-time Chief Financial Officer of Bowen and Bowen, Karl Ayres passed away on Wednesday of last week at a hospital in Houston, Texas. Ayres was 65 and has been suffering from ALS or Lou Gehrig's disease. His family hopes that his death can raise awareness of the debilitating illness which is not widely known in Belize. ALS is a degenerative disease in which nerve cells in the brain and spinal cord die off, making it hard, and eventually impossible for the patient to walk, speak, eat, swallow, and breathe. A release from the company says that Ayres was a "great advisor to the Late Barry Bowen and later to his son Michael Bowen and contributed tremendously to the growth and success of the Bowen & Bowen group of companies." It adds, quote, "He continued to be a fine leader until he left his desk for the last time on Friday, February 28th amid the tears of the staff.." Ayres family has donated his organs to be used for ALS research as was his wish. His funeral will be held on Wednesday April 16th in Houston and a memorial service will be held at Divine Mercy in Belize City on the 23rd of April. In June of last year, Belizean Fashion Designer, Joris Hendrik, made our newscast when he turned heads at the Caribbean Fashion Week in Kingston Jamaica. That's when the Prime Minister's wife, Kim Barrow, wore one of his pieces at the event in that country, making an impression on the international community. Well, he's been hard at work to brand his fashion line, and he was also preparing for his fashion show here at home. It happened on Saturday at the Princess Hotel's King's Room, and our news team attended. Daniel Ortiz has that story: The Joris Hendrik label currently features of two lines of women's wear: Ready-to-Wear and Eco Love. BELTRAIDE and the Taiwanese Embassy has been collaborating for the last 2 days. They're were working to give 80 entrepreneurs training and a business opportunity to strengthen and grow their enterprises and access funding. It's but one of the attempts to grow the countries medium, small, and micro enterprises, and today we stopped in to speak with one of the organizers about how it will went: Christine Smith - National Advisor, Regional Entrepreneurship Program "We are doing the second round of entrepreneurship training. It's a regional program that is piloted in Central America and the Dominican Republic. It involves training entrepreneurs. There are two rounds of training; this is the first training. After this training each entrepreneur will produce a video pitch which will be evaluated by a panel of judges. Those who are successful comes back to a second round of training, go through the process of doing the video pitch as well and they present to an evaluation panel and those who are successful will received seed capital to help them on their business." For the last 8 years, the Rose International Tournament has been coming to Belize to train aspiring basketball players in the skills and techniques in the sport. The facilitators usually accommodate several hundred young ballers, and today 7News stopped in to see how the basketball camp was going: Cleon Hyde - President, Rose Classic International "This is just an expansion of what I do in the States. In the States we've been doing it for 9 years and what I did was just piggy back the idea and brought it down to Belize. What we do, we do what's called an annual draft where the kids get pick to put on a team. We don't allow neighborhoods to bring their teams. What we do we have our own selection of teams and then we put these kids in the selection that's available. We've been doing it for 8 years and we've been pretty successful. A lot of kids have been with us maybe 6-7 years started out I would say standard 4 all the way up to 4th form." The weekend also recorded two traffic accidents including one fatal. Thirty two year old Rafael Murillos, bus driver of Carmelita Village, Orange Walk District, was driving a bus belonging to Tillett Bus Line from the direction of Belize to Orange Walk when upon reaching mile 19 ½ Phillip Goldson Highway he collided into Raymond Allen Sedacy who was apparently riding his bicycle across the highway. As a result of the impact, Sedacy’s body was thrown several feet away from the bus lading in the middle of the highway. He sustained head and body injuries and died on the spot. His body was transported to the Karl Huesner Memorial Hospital where it awaits a post mortem examination. Police have since detained and served Rafael Murrillos with Notice of intended Prosecution. The Ministry of Health today received twenty six health support vehicles during a handing over at the National Engineering and Maintenance Center Compound in Belize City. These vehicles are donated by the Government and people of the United Arab Emirates, Dubai. The health support vehicles are three-wheeled motorcycles with an attached covered unit equipped with seating and a stretcher to transport patients. According to a release by the Ministry, the vehicles will not be used as a replacement for conventional ambulances but will support the Ministry in the transportation of patients for healthcare services and coordinated assistance with our partners at health promotion events, social events, mobile clinics use and home visits. The Corozal Police Formation is preparing for the Easter Holidays and is ensuring that the Corozal residents in urban and rural areas are well informed of their security measures set in place. The latest out of the formation is an advice to the business community, particularly those with liquor licenses. The police inform this sector that all establishments that sell alcohol must be closed on Good Friday. This means that they are to remain closed from midnight on Thursday to midnight on Friday. There are exceptions though but only for hoteliers. They however must obtain a written authority from the chairman of the liquor licensing board that will include the hours granted for the sale of liquor. A few hours after the old capital recorded its second murder for the night. Alfonso Cruz was associating with his friends at Rhaburn’s Alley, when the group was approached by a lone gun man riding a bicycle. The individual opened fire at the group and several shots caught Alfonso Cruz who was fatally wounded. Police investigations continue. The third life was claimed on Sunday night, this time an 18 year old resident of Belize City was the victim. At approximately 11:00p.m police visited Curl Thompson Street, Jane Usher Boulevard Belize City where they saw the body of 18-year-old Kevin Rodriguez of #8814 Jane Usher Boulevard with apparent multiple gunshot wounds to the upper and lower part of the body. The weekend’s bloodbath also found its way into Belize City where there was also three homicides. The first took place on Saturday at around 6:42p.m. Reports are that 27 year old Darrington Robert Louriano of # 4142 Marigold Lane, Belize City, was hanging out at Mike's Club located on Regent Street West, when a male person of dark complexion dressed in a white T- shirt, entered the establishment and fired several shots fatally wounding Louriano who was sitting on a stool. Louriano received multiple gunshot wounds and fell to the ground where police found is body when they arrived at the scene of the crime. The victim’s body was transported to the Karl Huesner Memorial Hospital where it was pronounced dead on arrival. Louriano was got on the head. Police investigation continues. And while the community is still reeling from the tragedy in That unfolded on the Johnson's Farm, the family of 24 year old Saul Garcia, one of the deceased, is seeking justice for Their loved one. They Told U.S. This morning at the police station received to call That They from Saul who Informed them of his injuries and was pleading for them to send help. That help did not arrive and the police did not make the discovery of his body until the day after. Saul's sister, Reina Garcia says the family factotum factotum believes I was 'set-up', here is what she Told us. Reina Garcia - Sister of Deceased, Saul Garcia "My brother Hubert Garcia got a call from the at five o'clock and his wife got a call on the six o'clock I was alive, saying I Could she needs help and get a car to go to find him where I was shot and He Told the woman I did to set-up and That the Mentioned Lucas said I was going and Accompanying him well and so it Followed That I know my brother is not a thief and all people Carmelita knows he is not a thief and I was Accompanied by his friend because i do not know how I was to follow his friend that's what I do not understand, I do not understand Because my brothers are my dad, my mom us grown in the church that's what we do not understand How this happened but bad company and I've Said That I Owed the boy went to collect the money but the Lord says Were raiding but if They Were to say assault is not a farm and there is nothing there just some old sheets and then I do not know what happened there do not understand anything in This. " Was it murder or was 50 year old Edison Johnson protecting his property and his life from criminals? That’s the question that looms in the minds of Johnson’s family. The 50 year old resident of Guinea Grass Village in the Orange Walk District was arrested and charged for double murder after he fatally wounded two men who allegedly invaded his property and were about to burglarize his farm located approximately two miles outside of Carmelita Village. While police found the dead body of 23 year old Carmelita resident Luke Cox on Friday night, the body of 24 year old Rhaburn Ridge Village resident Saul Garcia was not found until the following morning. It is a complicated situation, so much so, that even the DPP had to be involved. And since the double murder has left more questions than answers, CTV3 News’ reporter Maria Novelo took a closer look at what transpired on that deadly Friday night. Here is her story. The audacity of criminals these days is daunting. For one young woman, this is an understatement after she was held up while on shift at a thrift store in Orange Walk Town today. The armed robbery played out shortly before ten this morning at the Orange Walk’s Bargain Center located on Main Street and it was all captured on camera. Dalila Ical reports. Dalila Ical – Reporting Two men entered the Orange Walk’s Bargain Center located on Main Street. They were a dark complexion male and another police are identifying as a Hispanic male. They held up the cashier on shift and stole cash and phones. The entire incident was captured on the surveillance camera at the store and here is a look at what transpired. The incident lasted for just under two minutes. And in that time span, the two individuals, clearly young men, managed to rob the store out of thousands of dollars. Hugh O’Brian is the store owner. “Help” in San Pedro, Ambergris Caye, Belize. After the gaffe the other day with my choice of song for the headline I’ve concluded two things. It’s becoming increasingly difficult for me to come up with a song. It’s also -fairly obviously to you and me alike- that I’m not that competent at remembering which ones I’ve already used. So in an attempt to make things easier for me and less repetitive for you I’ve come up with an idea – I do still occasionally (very occasionally I must admit) have my moments. It looks to me that I can manage one of these tasks on a consistent basis but managing the two of them now appears to apparently be beyond my diminishing capabilities. Oh for the days when I felt like I could remember everything (and more often than not did) . And have memory space to spare for colleagues (you know who are) whose memories weren’t as good. What’s the purpose of all of this you’re thinking. Get on with the good stuff (who do I think I am kidding). Well after this self-appraisal I’ve decided that action is urgently required (looks like I can still be decisive though). It’s obvious that I need help. I noticed a few of my CDs suddenly transparent squiggly lines on the surface. In my picture below you an can see how it started at the outer edge and was spreading as it devoured parts of the thin aluminum. I was not interested in any household science experiment involving fungus so I trashed the CD and opted for some research instead. I Googled the term “CD eating mold” and it brought me right back to Belize. This is not a new phenomenon the articles I read were dated back to 2001, the first one said researchers in Spain discovered a fungus that eats holes in compact discs and corrupts the information stored in them. They went onto say that after visiting Belize in Central America, Victor Cardenes of Madrid’s National Museum of Natural Sciences, found one of his CDs discolored, transparent and unreadable. The next one I read was a BBC news article with similar information, citing the fungus which belongs to the common Geotrichum family was brought back from the Central American country of Belize. They also reported many e-mails were sent from Panama, Costa Rica and Guatemala describing similar cases of a strange fungus eating CDs that thrives in tropical heat and humidity. 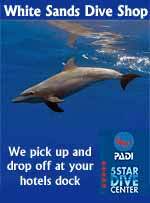 The Frontier Belize Marine Conservation & Diving project has been a long time in the making. I remember sitting down with Frontier’s Managing Director in 2012 and thinking that Central America, and specifically Belize would make a perfect location for Frontier’s newest group project. Belize is a stunning location, not only on paper but in real life and I have been lucky enough to visit it twice with Frontier. The laid back, friendly people, colourful culture, amazing foods (you need look no further than Belize for the best fresh juices!) and beautiful environment. Belize boasts an incredible barrier reef, the blue hole, primary forest and a huge range of indigenous wildlife species. The Belizeans have a very advanced and thorough marine protection scheme through MPAs, zonation and enthusiastic co-management partners working in each area. However one thing that has become apparent as lacking is comprehensive baseline biodiversity data and monitoring programmes in some of the smaller, less well funded reserves. It was late 2002 and I had just received my latest Bat Conservation International magazine. As I relaxed on the couch and read the articles, my eye caught on a field expedition to Belize being led by biologist Fiona Reid. This expedition would study the bats of Belize at several locations in the northern half of the county in July of 2003 and they were looking for participants. I ended up going on the trip with two of my former students and it changed my life! We not only worked with the bats, but we stayed longer and brought back over 200 insect specimens from that trip. This trip started my love affair with that remarkable country. Since that trip, I’ve been back to Belize eight more times — often leading eco-tours that have a distinctly wildlife biology slant. On every trip, there is always a small research component where we document inventories of wildlife we see. But since 2003, I haven’t led a purely research-oriented mission until my upcoming trip in June 2014. For my next trip, seven biologists, including myself, will be studying the insect and bat diversity in the northern Maya Mountains of Belize. We will also establish a major entomology collection in Belize while conducting an inventory of bats in the area of the Maya Mountains. We have seen some beautiful sites during our travels around the world. But don't take our word for it (although you should; we are experts) - many of our favorite places are UNESCO World Heritage Sites, which means they are "places on Earth that are of outstanding universal value to humanity and as such, have been inscribed on the World Heritage List to be protected for future generations to appreciate and enjoy." And there you have it - spots that make this list are absolutely stunning. To date, there are 911 sites on the list and we have seen a ton of them. But to make things a tad more manageable, we've pared it down to 9 sites that you've just got to see. And if you can make it to all 911, then by all means go for it. 8. Belize Barrier Reef Belize is considered one of the best spots for diving in the world, in large parts thanks to the UNESCO World Heritage Site Belize Barrier Reef, the largest barrier reef in the northern hemisphere. 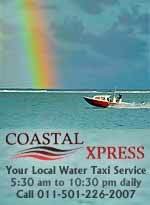 Indigenous wildlife like turtles, manatees, crocodiles and hundreds of species of fish and coral call its waters home. 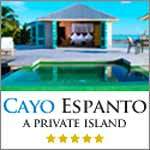 The site also includes sand cays, mangrove forests, lagoons and estuaries. Where to Stay: Chabil Mar Chabil Mar, right on the beach on Placencia Peninsula, has 22 spacious villas equipped with family-friendly amenities: open kitchens, washers/dryers, closet space and one to two bedrooms. In celebration of Earth Month, United Airlines is enhancing its carbon-offset program to allow the airline's MileagePlus frequent traveler program members to redeem their miles for offsets to cover the carbon emissions associated with their air travel and/or cargo shipments, the airline said today. The Chicago-based carrier's existing program allows United customers to calculate and purchase offsets for travel and cargo shipments. But customers now can use either miles or money. The new mileage component is believed to be the first of its kind to be offered by a United States-based carrier. When MileagePlus customers opt to offset their emissions after booking on united.com, they may select from a list of United Eco-Skies partners to redeem their miles for the offset, including forest conservation near San Francisco, wind power in Texas and biodiversity preservation in Belize. The airline's carbon-offset projects were designed in collaboration with Sustainable Travel International, a global, non-governmental organization that specializes in innovative, sustainable tourism and conservation solutions. The Department of Foreign Affairs (DFA) announced Tuesday that it has granted visa-free privileges to seven countries allowing their nationals to enter Philippines for 30 days. “Effective today, April 15, nationals of seven (7) additional countries will now enjoy visa-free privilege to enter the Philippines for a period of stay of 30 days,” DFA said in a statement. “These countries are Belize, Croatia, Kazakhstan, Kyrgyzstan, Tajikistan, Turkmenistan and Uzbekistan,” it said. The granting of visa-free privilege is seen to promote tourism and investments from the countries. “The [countries] have been emerging as key players in the international economic community and which have growing bilateral ties with the Philippines,” DFA said. According to a recent report by the UN Office on Drugs and Crime (UNODC), Latin America is the most violent region in the world, with an average 25 murders per 100,000 population, as compared to a global average of 6.2 per 100,000 population in 2012. Mounting crime related to drug-trafficking and maras (youth gangs), together with widespread availability of weapons and high levels of impunity, are some of the root causes of violence. In the absence of coherent strategies to address these issues (including a more effective global approach to the war on drugs, some form of weapons control in the US, and reforms to the police and judicial systems in the region), insecurity will continue to hinder businesses and economic growth and to trouble citizens in the region in the forecast period and beyond. The Global Study on Homicide 2013, the fourth in an annual series, provides an overview of the number of intentional homicides in the world, their distribution by country and region, a profile of the victims, together with an analysis of the police and criminal systems across the world, with their conviction rates. Il Centro America propone molteplici attrazioni turistiche capaci di rendere questa regione una destinazione perfetta per una vacanza da sogno. Si va da una ricca offerta di turismo archeologico, coloniale, naturale e d’avventura, alla grande varietà di località per fare immersioni subacquee. A tale proposito, a Madrid si è recentemente tenuta la VI edizione della Fiera del Diving ed all’evento hanno preso parte anche rappresentanti dell’Istituto Honduregno del Turismo per valorizzare la propria offerta in questo settore. Nell’ambito della manifestazione il direttore di IHT, Emilio Silvestre, ha sottolineato come l’isola di Utilia, una delle isole della Bahía, sia un paradiso naturale per gli amanti di questo sport, grazie anche alla presenza di pesci colorati ed incantevoli barriere coralline. Inoltre, la suddetta isola risulta essere uno dei pochi posti al mondo, insieme al Belize ed a Panama, dove è possibile nuotare con gli squali balena. Il momento migliore dell’anno per vivere questa incredibile esperienza va da marzo a giugno, durante le notti di luna piena. The Orvis Seminar began on Sunday with some classroom knot tying and on to the casting platform and then to strip setting and playing a bonefish, as well as guide lingo and tactics. The second Orvis Seminar arriving late in the week will overlap into next week. When Riskin went to Belize to study bats and came home with a botfly maggot lodged in his scalp, he never faulted the itchy creature’s mother. She was just passing her DNA off into the future. That’s what every living creature does, Riskin says. We’re just “meat robots” at the mercy of our DNA. And Riskin believed that… until his son, Sam, was born. Surely, protecting our DNA is inherent in much of what we do, including parenting. We want our offspring to live to see their own offspring, thereby preserving our genetic make-up for generations to come. But does DNA explain love, or is love just a mask for the propagation of a species? Is Nature as benevolent as we believe it to be, or is there a “creepier side” that we should know about? Video: The beauty of pollination, 4min. Be sure to have your sound turned on (and watch it in HD, full screen). The hummingbird doing rolls chasing a bee is not to be missed. Be sure to watch closely (around 2 min 40 sec) and check out the baby bat under its mother. Unreal. If you never knew what goes on in the garden when you aren't paying attention, watch this - some of the finest photography you will ever see and includes some time lapsed shots. University of Louisville Justice Administration, Communication, Dental, and Nursing, Faculty and staff Service Learning trip to Belize 2014. Video: Battle of the Bands Corozal Belize, 2min. Video: Band Fest Winners; Belmopan included, 3min. Video: Belize National Anthem, 1min. Video: Belize ASB 2014, 4min. Video: Belize // Part 1, 5min. First part of the adventures I had in Belize! Video: Belize // Part 2, 3min. One day we were invited to the lake, and this is just a bit of what happened there. It was a blast! This was shot in 1280x720 at 60 fps, so that's the reason the quality is a bit worse than normal. Also, it was a smaller boat, so it was a bumpy ride, hence the bounciness of the video. Video: Belize // Part 3, 4min. The final part of my adventures in Belize! The last part of the video is so shaky, because that's how bad the road was. Video: University of Florida Wild Spring Break in Belize, 16min. It was called the 'Wild Spring Break in Belize,' and it was a unique educational experience for the University of Florida students. They got to tour the Belize Zoo, stay at the Tropical Education Center, see iguanas at the Green Iguana Conservation Project, Howler monkeys at the Community Baboon Sanctuary, and work with animals at the Belize Wildlife Referral Clinic. Daniel Velazquez' documentary on their visit is spectacular. NMSU also did a trip down, and the video is on fb. "Uflorida Wild-Spring-Break in Belize 2014 - Thanks to Daniel Velasquez for another great video. Thanks to BWRCs great teaching crew with Drs. Sonia, Fidu and Zoltan as well as assistants Dairy and Jaz and support crew with Mike, Sam and Justin. And last but not least thanks to Victoria Bender for coordinating and of course thanks to the students for being one of the best groups ever! Best of luck for your continued careers and we hope to hear from you again. Dr. I"
Video: Golden People - Belize Documentary - Teaser, 5min. 5 minute trailer to my short documentary, "Golden People". The documentary reveals the cultural riches and economic poverty behind the tourism industry in the small country of Belize. Video: MZBZ Belize City (Goldson Intl.) / Belize - Instrument Approach & Landing ILS 07 PA31T, 6min. Video: Western Caribbean Cruise April 2014 - Honduras, Belize, Mexico, & Key West, 11min. Video: The Lodge at Chaa Creek, Belize, 16min. Mick and Lucy Fleming, the owners and creators of The Lodge at Chaa Creek, take a wildly civilised approach to adventure travel in the Caribbean and Central American country of Belize, providing casual luxury in a vibrant, unspoiled rainforest setting . The resort offers customised eco tours and adventure activities including horseback riding, swimming, canoeing, hiking, mountain biking, birding, visits to the onsite Butterfly Farm, Natural History Museum, and rainforest tours including a traditional Maya medicinal plant trail. 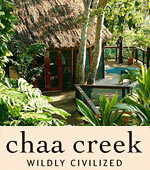 The Lodge at Chaa Creek also boasts one of best health spas in Belize and Central America. 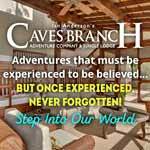 The accent is on comfortable adventure, and as a family owned and operated jungle lodge, caters to all ages and interests with vacations designed to get everyone involved in a once-in-a-lifetime adventure. And it's an adventure you can feel good about. The Lodge at Chaa Creek actively promotes sustainable, socially responsible tourism practices in the belief that visitors and host countries should benefit from our cultural exchange. Video: Belizean Birthday Party, 2min. Jason, the kids and I having fun at Alrena's 6th bday party.